A year-by-year look at our Hot Rod Power Tour trips. That rumble you hear is the sound of hot rods and street rods, old Detroit metal and new "late models." Since 1995, the Hot Rod Power Tour has been crisscrossing America. The Power Tour is a motorhead's "dream vacation." It's back roads and small town, big cities and quarter-mile speedways, crusin', chillin' and enjoyin'. Enjoy the sights and sounds. Go West, young hotrodder, go West." The 2016 Hot Rod Power Tour begins in Louisiana before running West to Texas, Oklahoma, and Kansas. We've made some mods to our Impulse Blue 2006 Pontiac GTO for this trip. A new cam, intake, throttle body, custom tune, and long tube headers are helping this goat run with 525 horses. The 2015 Hot Rod Power Tour is the 21st running of the world's largest road trip. Thousands of cars from America and beyond will journey from Madison, Wisconsin to Baton Rouge, Louisiana. This year will be riding a blue goat. Our blue 2006 Pontiac GTO, aided by more than 400 ponies, will help us make the long haul. The 2014 Hot Rod Power Tour marks the twentieth year the rumbling caravan of American muscle motors across America. The tour begins in Concord, North Carolina and weaves its way north to the Wisconsin Dells. Here is a day-by-day overview of the ultimate Hot Rod experience. The 2013 Hot Rod Power Tour was a wonderful sweep across middle America. This trip was a double treat. We left Florida for Memphis for our youngest son's wedding. Then we hit the open road for Arlington, Texas. Our fourth Hot Rod Power Tour long haul was also a first. We took Shannan's `96 Impala aka GRMAZ SS (her license plate) for this 4000 mile road trip: Boca to Memphis to Arlington to Charlotte to Boca. Yeah, a long haul. You can see some of our adventures below. The 2012 Hot Rod Power Tour took us from Motor City, USA to Arlington, Texas. Enjoy the ride. The 2011 Hot Rod Power Tour was a long haul and a blast. Starting in our home state, we figured "This is going to be easy!" Not the case. A suprise celebration for Shannan's dad meant we were in for the VERY LONG HAUL. We checked into on Saturday, June 4. Then it was a quick run to the Orlando Airport, flight to Memphis for the Memphis birthday party, then a quick flight back to Orlando that night so we could depart with the Tour on Sundyay morning. It was worth every mile traveled. You can catch the sights and sounds in this category. 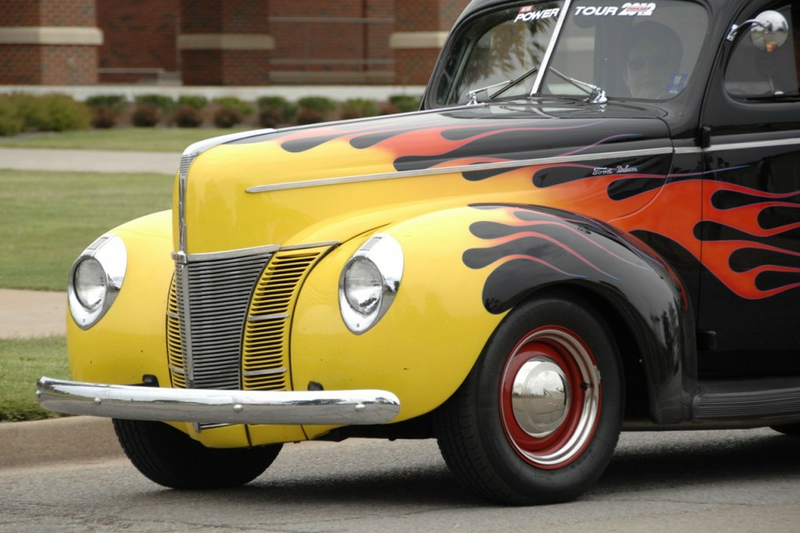 In this Category you'll find our highlights and stories from the 2010 Hot Rod Power Tour. We left Boca and traveled to Newton, Iowa and then came all the way home. Along the way we experienced a lot of scene like this one — The Bowtie Caravan. The Hot Rod Power Tour `10: Newton, IA to Springfield, IL to Du Quoin, IA to Springfield, IL to Bowling Green, KY to Chattanooga, TN to Birmingham, Al to Mobile, AL. This was our first Power Tour.